The Fund Industry offers a comprehensive look at mutual funds and the investment management industry, for fund investors, those working in the fund industry, service providers to the industry and students of financial institutions or capital markets. 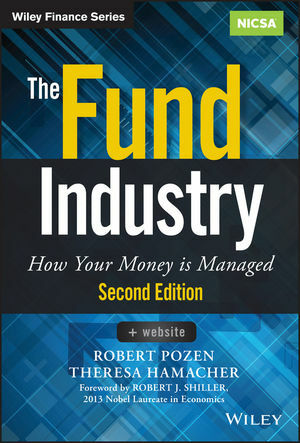 Industry experts Robert Pozen and Theresa Hamacher take readers on a tour of the business of asset management. Readers will learn how to research a fund and assess whether it's right for them; then they'll go behind the scenes to see how funds are invested, sold and regulated. This updated edition expands coverage of the segments of the industry where growth is hottest, including hedge funds, liquid alternatives, ETFs and target date funds—and adds an introduction to derivatives. Along the way, the authors describe the latest trends and discuss the biggest controversies—all in straightforward and engaging prose. The Fund Industry is the essential guide to navigating the mutual fund industry. ROBERT POZEN is Senior Lecturer at Harvard Business School and a Senior Fellow at the Brookings Institution. During his distinguished career, he has been active in business, government, and academia. From 1997 to 2001, he was President of Fidelity Management & Research Co. From 2004 to 2011, he was executive Chairman of MFS Investment Management, which now manages over $400 billion in assets. THERESA HAMACHER, CFA, is president of NICSA, a trade association serving the global investment management community. She is the former CIO for Pioneer Investment Management USA in Boston, Massachusetts. Previously, she was the CIO for Prudential Mutual Funds in Newark, New Jersey.